SPRINGDALE — Access to portions of the Kolob Canyon District of Zion National Park, located off Exit 40 on Interstate 15, will be restricted due to a project involving reconstructing sections of the road, repaving the entire road and adding accessible parking, sidewalk and toilet facilities. The closure is scheduled to begin May 1. The full length of Kolob Canyon Road, the Visitor Center and parking lot off of I-15 will be closed to all traffic during the seven-month project. The Taylor Creek Trail, the Timber Creek Overlook Trail, Lee Pass trailhead and other areas served via the Kolob Canyons Road will not be available to the public. Overnight permitted hikes will be drop-off/pick-up only from April 15-30. No vehicles or hiking will be permitted inside the closure beginning May 1. Construction engineers and park officials have determined that closing these areas during the project will be safest for visitors and workers, as well as expediting the work, so the area may open at the soonest possible date. Visitors will be able to access the La Verkin Creek Trail and hike to the Kolob Arch via the Hop Valley Trail, which can be accessed from the Kolob Terrace Road off state Route 9 in Virgin. Overnight trips require a permit. Kolob Terrace Road underwent its own maintenance project last summer to preserve the life of the road and is now open; however, the road isn’t maintained through the winter, so travelers are advised to use caution. For maps of the area, click here. 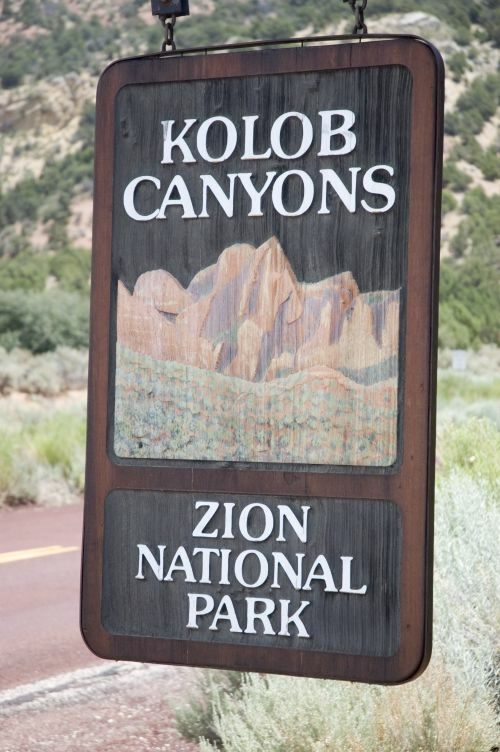 In a press release from Zion National Park, officials reminded visitors that there are many surrounding state parks, forest service and public land scenic areas to consider as alternatives to Kolob Canyons during this closure. Kolob Reservoir road off SR 9 in Virgin is a decent option. It’s an easy drive and any visitors I’ve taken up there have loved it. This seems to be a bit ridiculous. There is no reason why the entire road must be closed for 7 months right through the busy season! If they can keep one lane open through Springdale and get that job done faster, they can do that in Kolob Canyons as well. This work probably isn’t even really needed. Always good to see investment in our national parks. But six months? Seriously? I’ve been in cities in China that were completely renovated with a million people in less time.